← A Mobile Phone Aerial in the Church Tower? 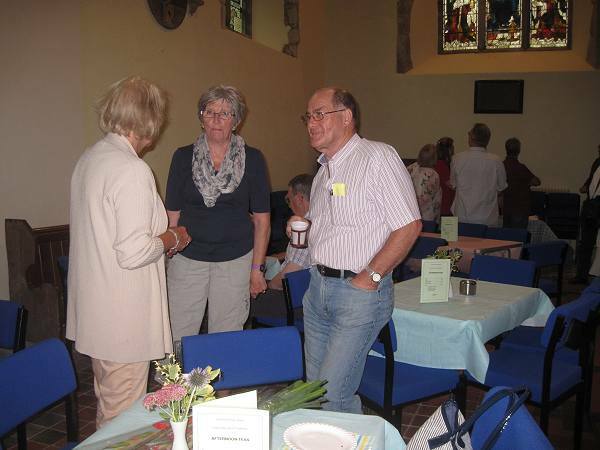 The church was buzzing with conversation at the open day. 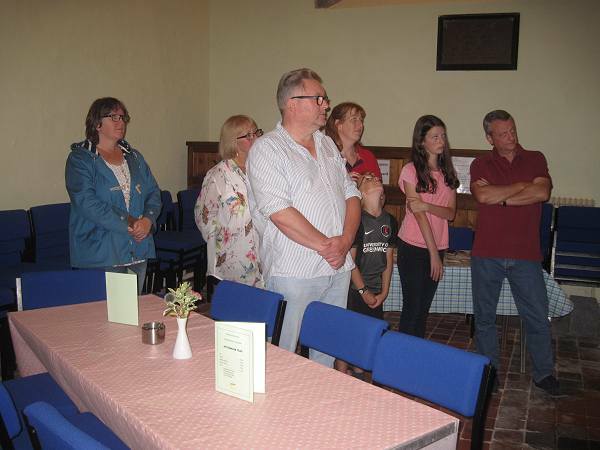 We had about 40 visitors most of whom had afternoon tea and nearly thirty of them joined one of the conducted tours of the church to hear about the history of the building and its contents and also some of the people whose memorials ate there. 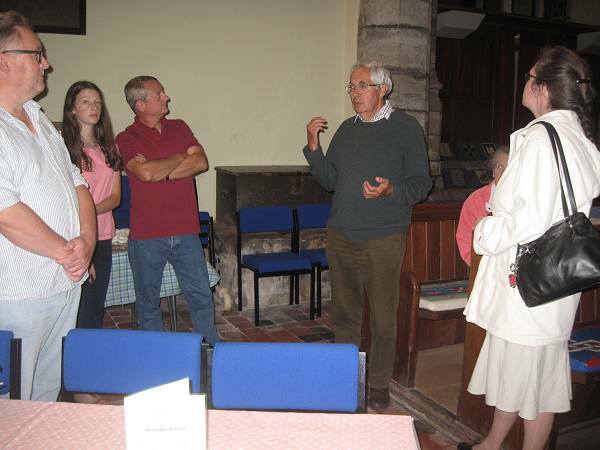 One of the visitors, from London, was a descendent of the Revd Caleb Perfect who was vicar at Shorne for 37 years in the 18th century. 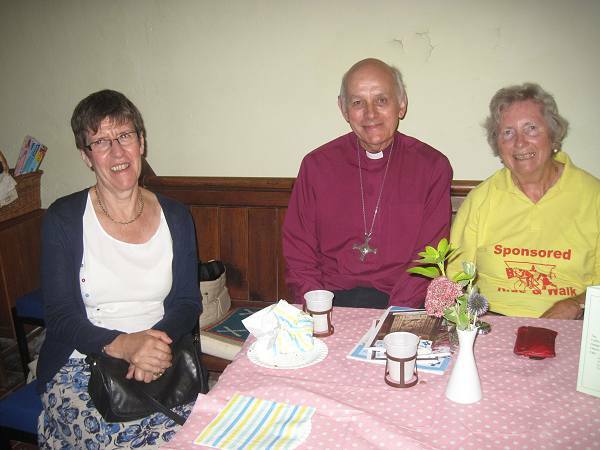 We also had a visit from the Bishop of Dover, the Rt Revd Trevor Wilmott and his wife Margaret. 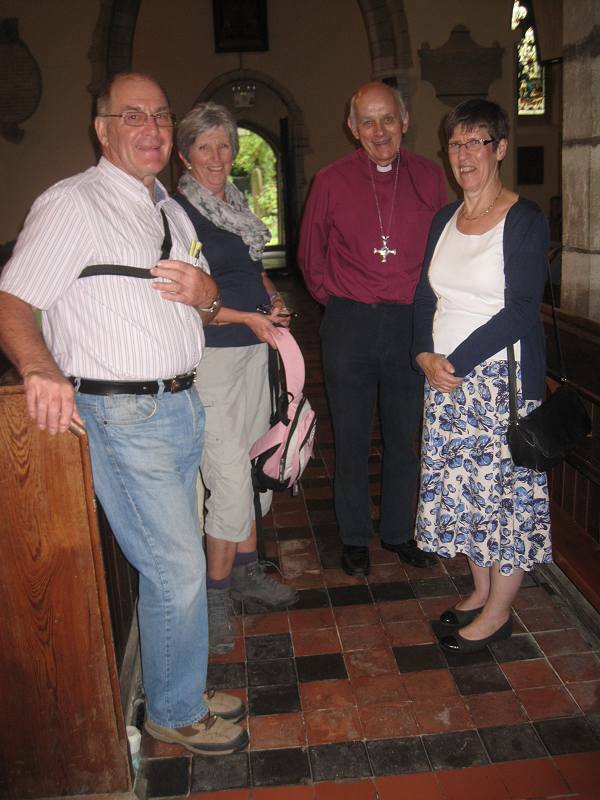 He is the patron of the Ride & Stride and was visiting some of the churches open for the event. 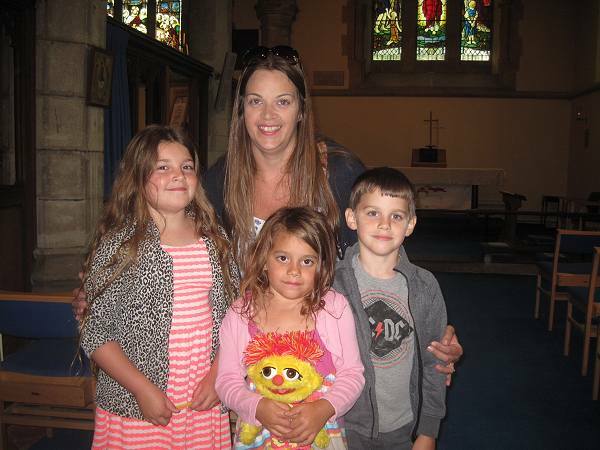 They are shown in two of the photographs below, in one with Maureen and Peter Morten. 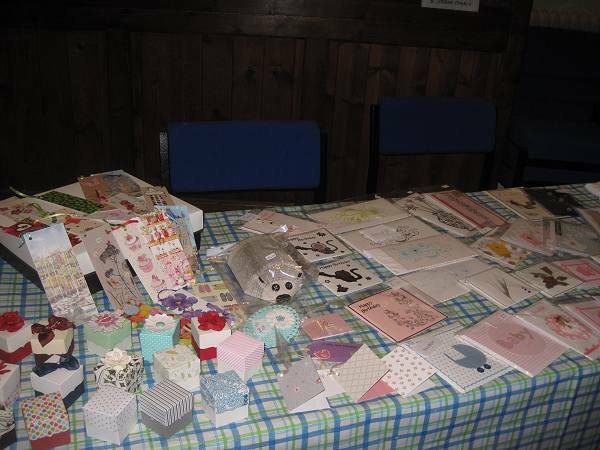 We were visited by 14 cyclists and walkers taking part in that event, the same as last year. It does not seem a lot but is typical for this area. 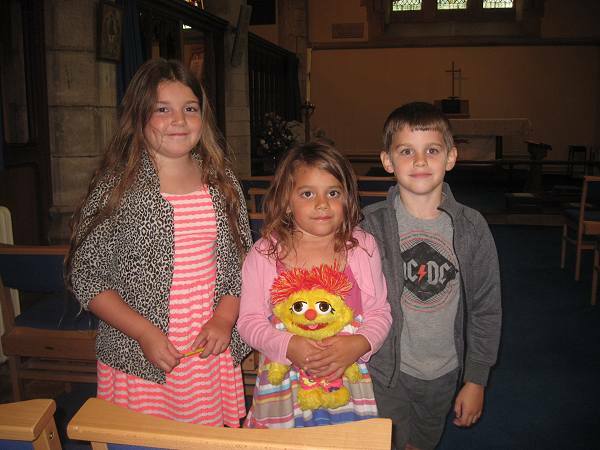 Maureen and Peter Morten took part for us and visited 20 churches. Sponsorship was disappointing with only eight sponsors from the village. 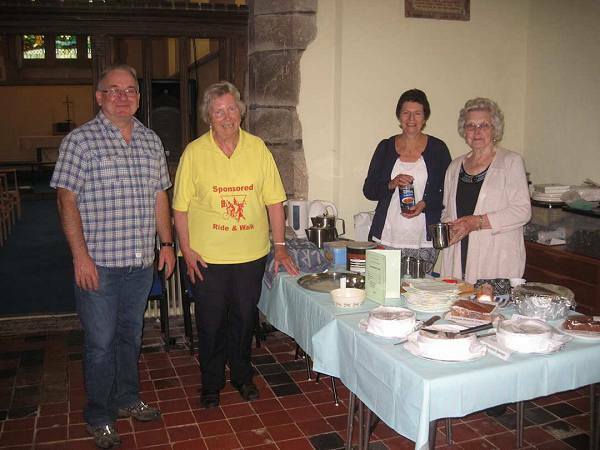 Although Maureen and Peter raised over £300 that was largely due to one large donation from outside. 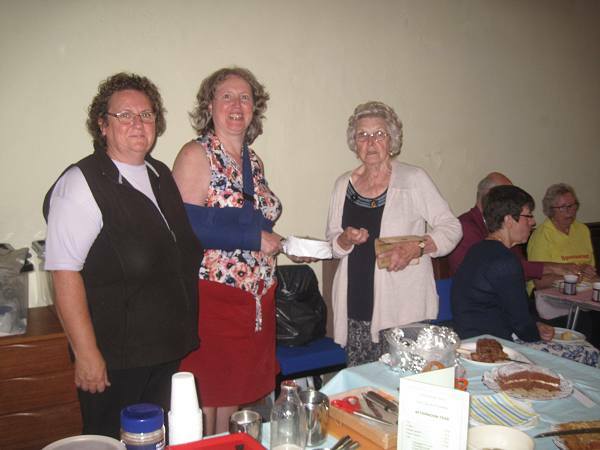 Nevertheless it is a valuable addition to the money raised by many others around the county for the repair of historic churches and half will be for our church. 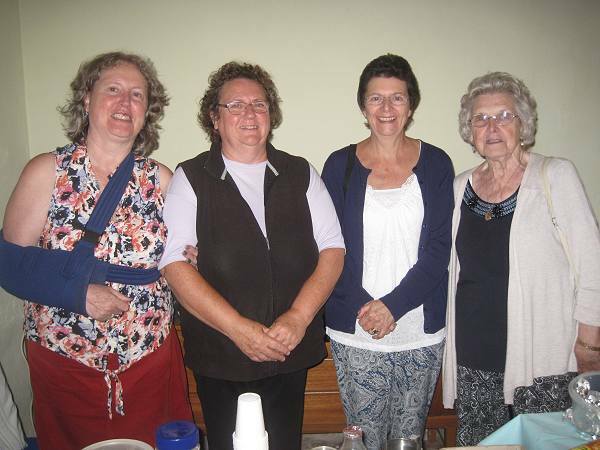 We are grateful to those who gave up time to welcome visitors and help with the teas as well as Maureen and Peter for doing the hard work.